The Rental Protection Agency® sets the fair standards of practice for thr rental industry and provides resources to help both landlord and tenant. 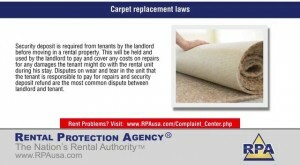 Landlords may apply to become RPA® Approved, Verified, Certified and Scam Tested. Landlord accreditation is available to all landlords with a clean criminal history, clean complaint record. 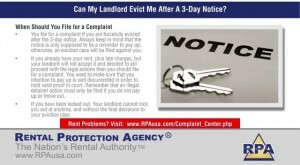 Tenants can report bad landlords, or access affordable legal help by filing a landlord or property manager complaint. 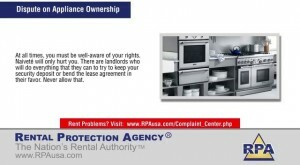 RPA® maintains a public record database on all landlords located in the United States. 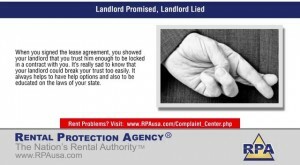 This database containing, apartment ratings, criminal statistics, landlord approval status and more can be accessed by pulling a free Landlord Risk Report / Score™ Landlord "Click to Verify" trust seals prevent or line rent scams and can be found on apartments / property management websites, craigslist vacancy ads, or other free classified sites. Rental Protection Agency. am i responsible or is the land lord? RPA® Improved Site, now Live! Lease agreements are created differently. It is important that you read through them to know what your rights are at all times. How do you determine if your pet fees are over-the-top? 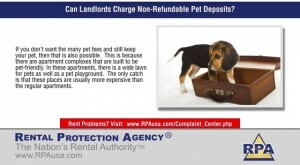 There are landlords that charge pet deposits, non-refundable fees and rent. The 3-Day notice is often misunderstood. Landlords think it is right to evict you after the third day but that's not true. Know your rights. Can't sleep due to bed bug bites? 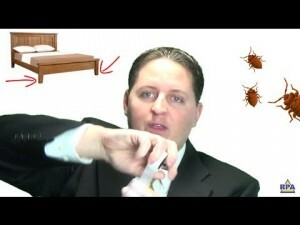 In this video learn what you can do to get rid of bed bugs now to help you sleep better. Landlords usually lie to get a tenant and this is not fair. Can you legally get out of the lease if this is the case? This will be held and used by the landlord to pay and cover any costs on repairs for any damages the tenant might do with the rental unit during his stay. When we talk about lease agreement, we often refer it as the contract signed between two parties that involve a tenant and a landlord. An overstaying guest can become a real problem. But if you are a tenant and the landlord wants your guest out, what can you do? Is it legal to break a lease due to a medical condition? Generally, it should be. But what would you do if your landlord disputes?